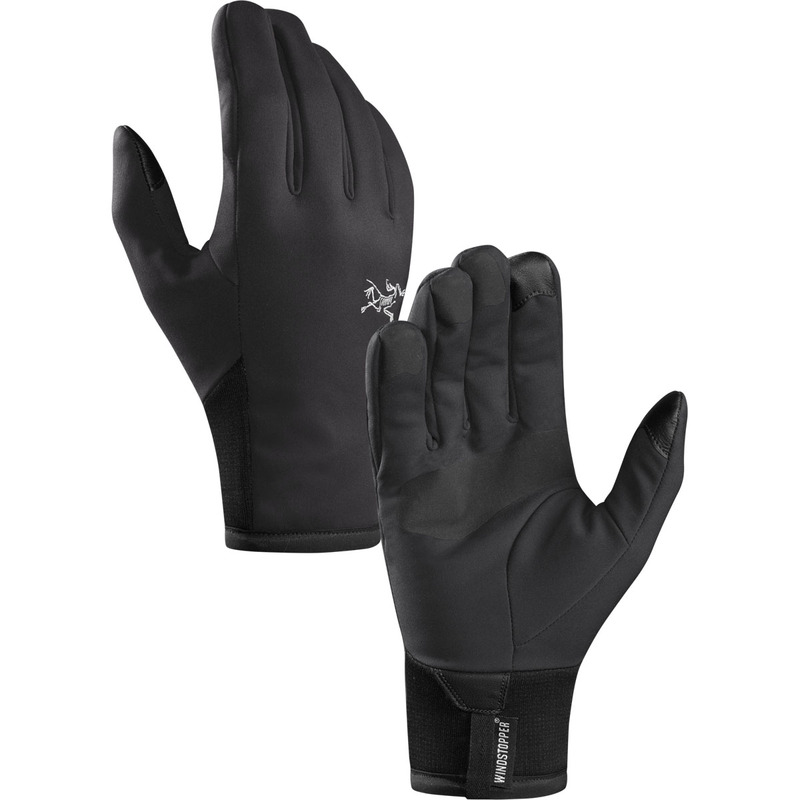 Designed to feel like wearing nothing at all, Arc’teryx Venta Glove is streamlined, dextrous, and lightweight for use whilst belaying on alpine climbs, making exposed traverses during summer mountaineering, or for winter trail running. Hydrophobic GORE® WINDSTOPPER® 3L is windproof to shield against wind chill, and a DWR (durable water repellent) treatment provides a layer of defence against wet weather and snow. 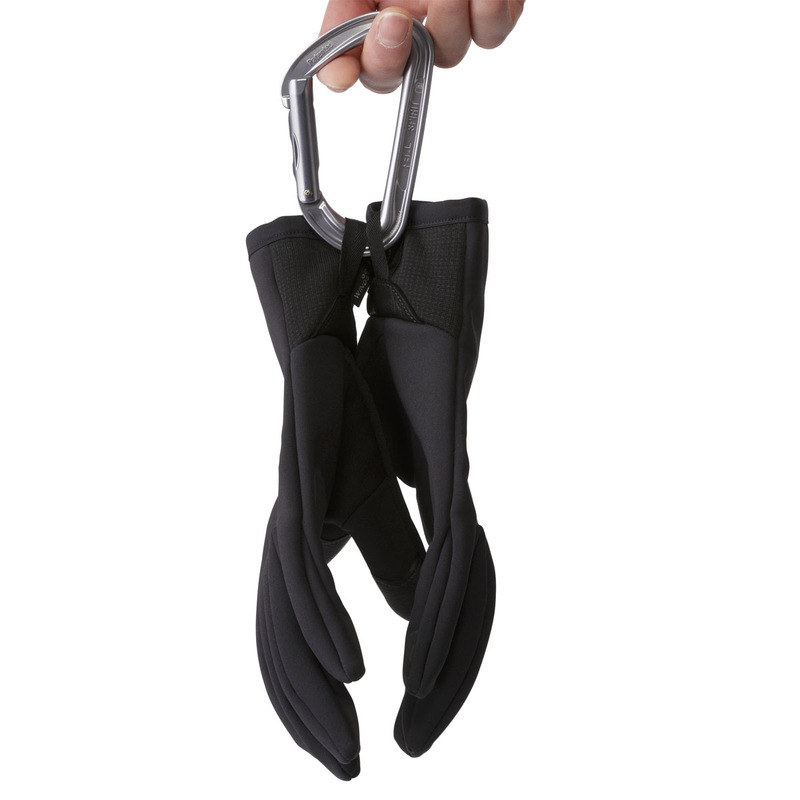 Sensors on the thumb and forefinger enable the gloves to be used with smartphones and touch screen devices, and TPU palm reinforcements improve grip on ropes, ice axes, and walking poles. Seam-free fingertips, anatomical shaping, and a trim-fit achieve maximum dexterity, minimal bulk, and high levels of breathability. An essential accessory for all cold-weather pursuits. 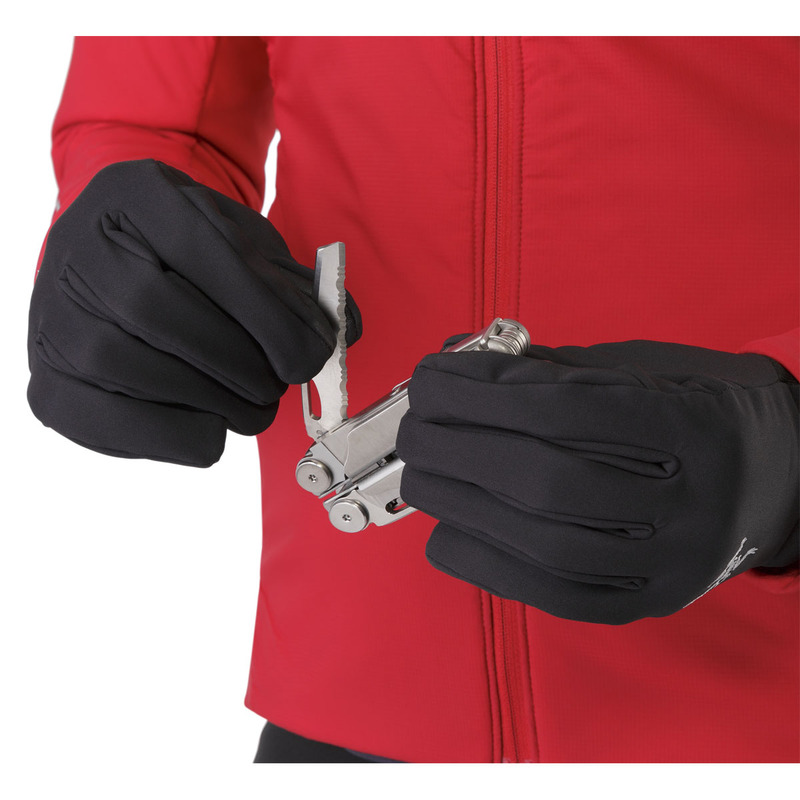 GORE’s windproof fabric designed for use in exposed environments where wind chill factor is a particular issue. 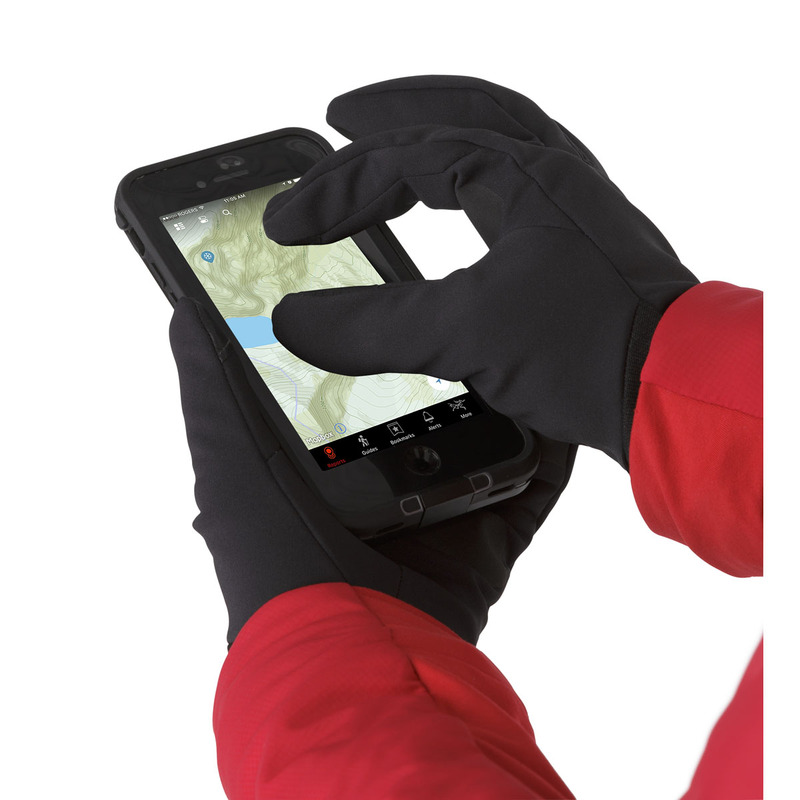 The windproof membrane allows vapour to escape under high exertion to help prevent overheating and is water-resistant. An ultra-thin chemical coating applied to technical garments as the first line of defence against wet weather. This coating creates thousands of densely packed polymer “hairs” that prevent water droplets from reaching the surface of the jacket and encourages them to bead together and roll off. The first line of defence against wet weather. 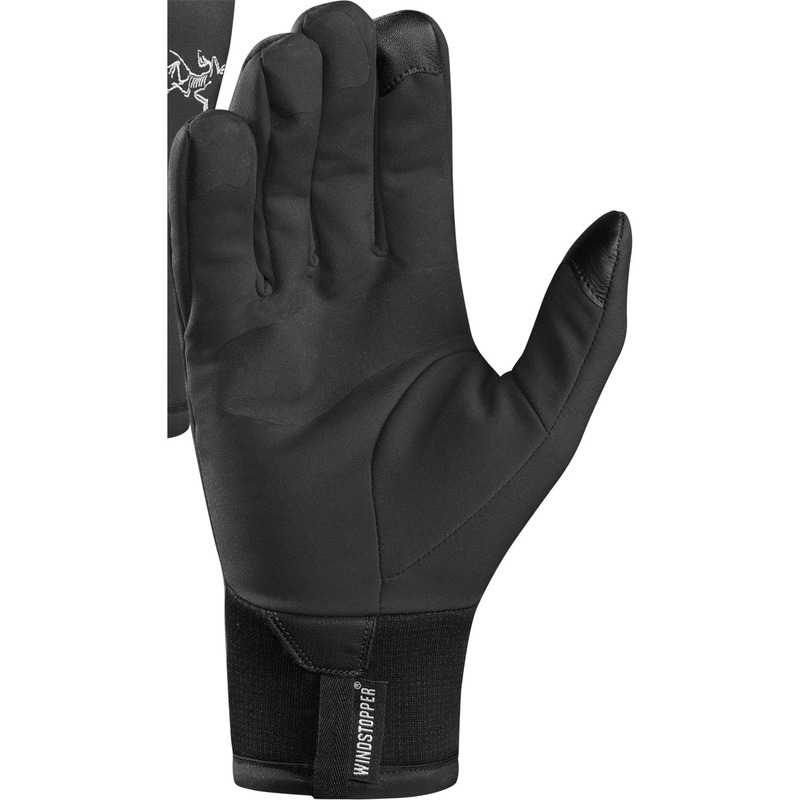 an excellent every day glove for the city.